I waited too long to trim my hair. No doubt, I was trying to hang on to some length or something silly like that. I’ll not beat around the bush though, it’s not worth it. By the time I got my hair trimmed, the hairdresser had to take off about about 2-3 inches of brillo-pad like hair. That STILL was not enough because my hair continued to act a donkey and felt hard and rough. This was irking me to no end so I began to really look at my hair strand by strand. 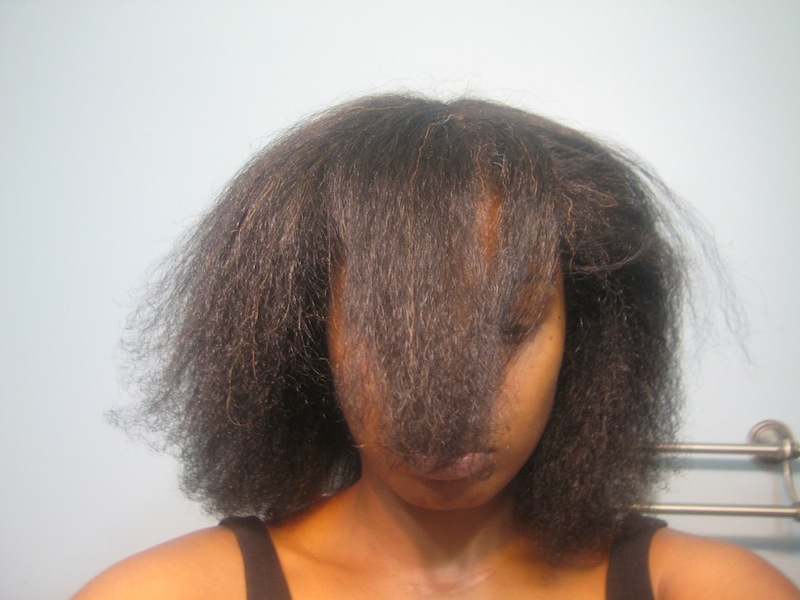 Upon inspection, I saw a jungle of split ends, bent (damaged) strands and single strand knots. A head FULL! 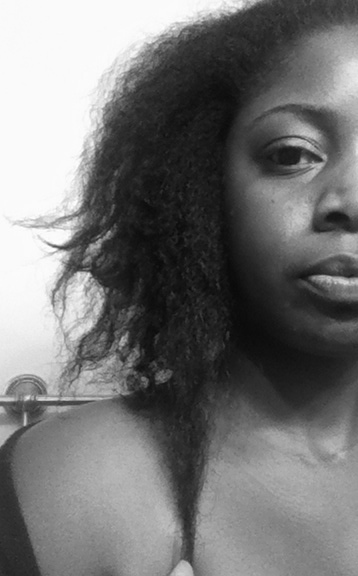 I thought I had been doing so well with taking care of my hair. :-(. In order to do something about it, I started trimming individual strands (Search and Destroys) like a lunatic. I even inadvertently cut off healthy hair! I clearly got carried away y’all! That was in March. It’s now May. I just got about 2 more inches cut off this Month. That’s a total of 4-5 inches in 2 months. Shameful. The funny thing is, by trying to hold on to a little bit of hair, I lost much more than I needed (or wanted) to lose. 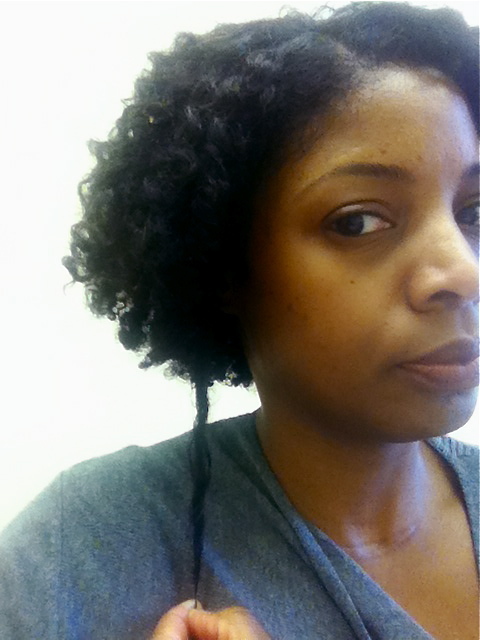 If I had just gotten it trimmed when I first noticed something was awry, I wouldn’t be writing this post now (that lesson could preach, but I digress.). When is the last time YOU had a trim? Do you know the difference between when you need a trim vs. an actual cut? I think hairdressers get a little gung ho with cutting and take off more than necessary. Our hair grows at different rates on our head so there’s bound to be some uneven hair. At either rate, you know where you made some mistakes and can learn from it. I’m not a Search and Destroy type (too stressful for me) but a trim twice a year is just enough for my hair to maintain its length and get rid of splits which happen to be few and far between. I am prone to split ends and single knots too. I tend to search and destroy periodically. 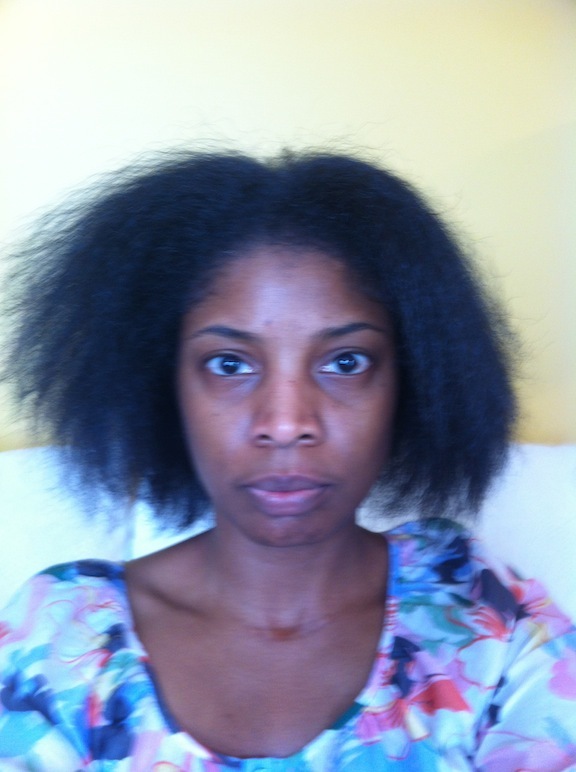 I actively trim my raggedy ends at least twice a year, most recently in April 2012. I think its a good idea to have an annual “hair exam” by a hair professional you trust if your hair is prone to damage. In my opinion, no matter how well you maintain your hair it doesn’t hurt to have a professional hair treatment once in a while. My last professional trim was May 2011 so I guess I’m overdue :). Glad your hair is recuperating! This Article came right on time! I just experienced the same thing. After all the moisture and protective styling and oils and the like, I went to the salon today to get that much needed, much overdue trim. How mortified was I when I looked on the ground and saw the same brillo pad hair on the floor to the tune of about 2-3 inches. I came back home and my boyfried of course says “your hair looks great” but I can only see those dead ends on the floor laughing at me. Now he’s wondering why I am reading this article with a sad face. Step up regular trim appts.